(NaturalNews) Millions of Americans are turning to holistic approaches to oral health because insurance plans are doubling or tripling in cost, thanks to Obama and Obamacare's outrageous lies. Plus, Big Pharma in general is becoming even less trustworthy; with independent research revealing the dangers of fluoride, routine X-rays, expensive root canals, toxic mercury "amalgam" fillings, superbugs and just plain unnecessary surgery, it's a wonder that anyone goes to a dentist other than to get a tooth pulled. On the lighter side of things, natural remedies and natural preventive care is abundant -- you just have to know where to look, what to buy, the right questions to ask and, of course, when to ask them. Here are some top 4 questions to ask yourself, and then consider holistic approaches to your oral health. 1. What is oil pulling and how can it save you and your family thousands of dollars plus prevent major dental issues from ever developing? 2. How many dentists, orthodontists and oral surgeons have you heard about that recommend oil pulling? Why not? 3. What do chewing sticks and mango leaves have to do with brushing your teeth? 4. How can swishing oil cure headaches, not to mention 30 systemic diseases ranging from diabetes to asthma? Oil pulling is a procedure that involves swishing oil in the mouth and is written about in Ayurvedic text. It has been used extensively as an Indian folk remedy to prevent tooth decay, bad breath and bleeding gums; it even strengthens teeth, gums and jaw. Oil pulling requires 10 minutes of swishing, usually upon wakening, for ideal detoxification purposes. There's an ancient axiom, "All diseases start in the mouth." A study published in the Journal of Indian Society of Pedodontics and Preventive Dentistry back in March of 2008 revealed that oil pulling could remove from the mouth Streptococcus mutans bacteria that advance tooth decay. In ancient India, plaques, infections and chronic oral conditions were managed with traditional medicine. Chewing sticks have these medicinal properties. From bilberry to hawthorn berry for strengthening gum tissue and licorice root for anticavity and plaque reductions, plus natural antibacterial effects. There was no government-mandated fluoride poisoning back then, so they did not have to worry about corporations inserting foolish (artificial sweeteners) and toxic ingredients. This took place 5,000 years ago in India, during the Vedic period. They knew what to do for oral health back then. Ayurvedic practitioners developed medical preparations and surgical procedures for ailments and disease. What we have now is a sum total of several indigenous cultures from all over the world. This can translate into treating mental illness naturally. What if the government subsidized oil pulling by paying in full for all the coconut oil, sesame oil, herbs, herb products and herbal materials each household needs all year long? (Fantasy). Herbal brushes are thin like today's toothbrushes, but made from fresh stems of particular plants like neem and others from mango leaves. Chewing sticks are used in a completely different manner from toothbrushes. They are soft, without the knots or leaves, and they come from a very healthy tree (not one that sits in pesticide/GMO field or is watered with fluoridated water). Also, The miswak chewing stick was proven in a study to have an "immediate antimicrobial effect compared to toothbrush." [emphasis added] The stick even proved more effective at gingival recession than did toothbrushes. Want to end bad breath, sore throat and loss of taste? Try oil pulling with organic oils and never look back. We must today synthesize the strategies used by indigenous cultures. You could be using Ayurvedic tooth powders right now instead of synthetic chemicals. 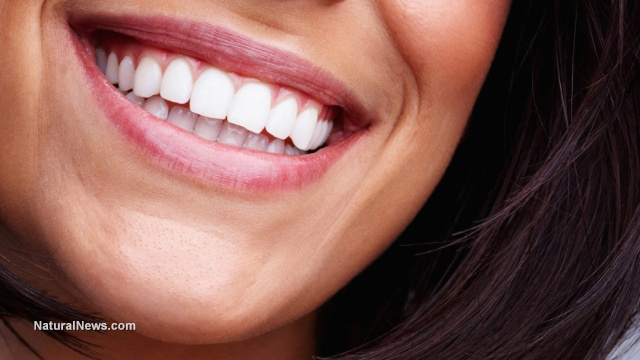 Are you bleaching your teeth white with bleach or brushing daily with chemicals? Some people may be inclined to think that any oil (GMO) would work for this ancient method of natural oral care, but they would be wrong. Many oils today, even olive oils, are fakes. They are synthetic combinations of anything from rapeseed oil (canola) to pesticide-laden sunflower oil. Make sure you buy organic coconut oil or sesame oil. Sesame oil is considered to be the "queen" of oil seed crops for many health reasons. Finally, two similar techniques, Gandusha and Kavala Graha, involve holding in the mouth and/or gargling for a few minutes as a rejuvenating treatment that maintains clarity and fuels mind invigoration.